The main difference between star and ring topology is that a star topology connects all the devices to one central device forming a structure similar to a star while ring topology connects every device to another two devices forming a structure similar to a ring. A computer network is a collection of devices connected together to communicate with each other. It consists of devices such as hubs, switches, routers, printers, computer, servers, etc. A network topology is an arrangement of connected devices in the network. There are various network topologies, and star and ring are two of them. In brief, the star topology connects the devices similar to a real world star while ring topology connects the devices similar to a real-world ring. 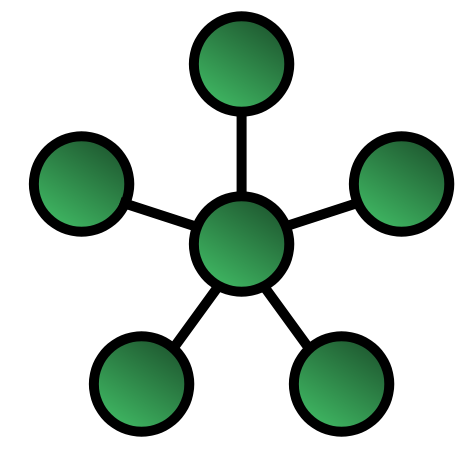 In a star topology, all the devices connect to a central node or a device. The central node can be a hub or a switch. Other devices connect to the central device via cables such as coaxial or twisted pair cables. The main advantage of the star topology is that it does not affect the communication among the devices. If communication of one device fails, it does not affect the other devices. Therefore, the network administrator can replace the cables or the failed device easily. Moreover, it is easier to set up and modify the network. On the other hand, as all the information passes through the central device, all other devices rely on that device. So, if the central device fails, it will affect the functionality of the entire network. Also, more devices connecting to the central device can increase the workload of the central device. Usually, this network type is commonly used for home and office. The devices in a ring topology connect to each other similar to a ring. The first device connects to the next device. That device connects to the other device. Likewise, all the devices connect, and the last devices connect back to the first device forming a structure similar to a ring. Thus, each device connects to two devices. A device receives a message from the previous device, and it sends that message to the next device. Likewise, the devices can exchange data by passing messages in a specific direction. When a device passes a message to another device, that message passes one after the other until it reaches the destination. 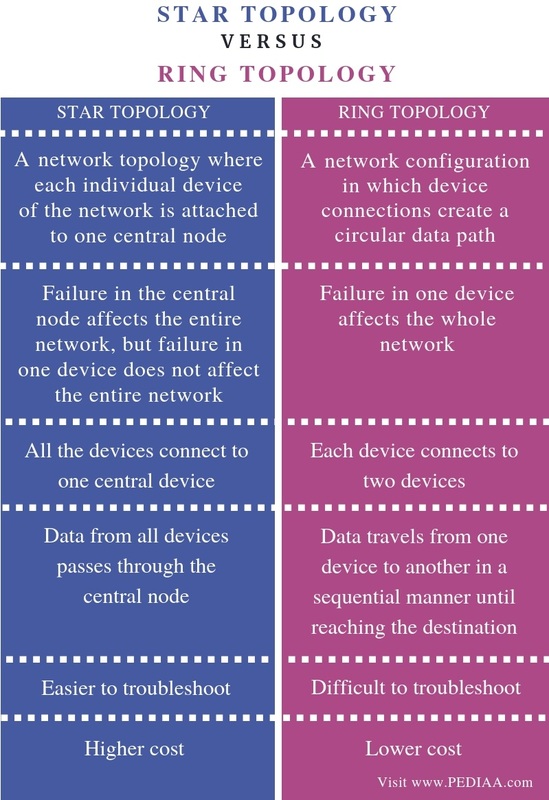 As the devices are connected in a sequential manner, failure in one device or related cables can affect the communication of the whole network. That is a major drawback in a ring topology. A star topology is a network topology where each individual device of the network is attached to one central node whereas a ring topology is a network configuration in which device connections create a circular data path. Thus, this is the main difference between star and ring topology. Furthermore, a major difference between star and ring topology is that, in a star topology, failure in the central node affects the entire network while failure in one device does not affect the communication of the entire network. On the other hand, in a ring topology, a failure in one device affects the whole network. 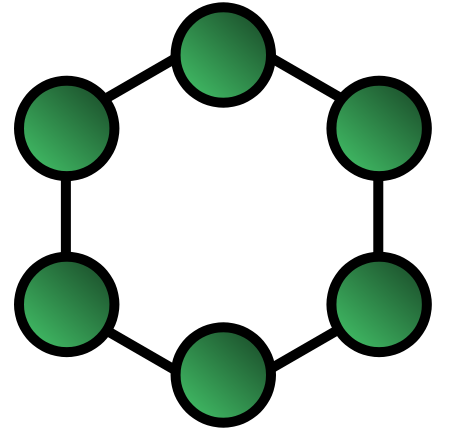 While all the devices connect to one central device in a star topology, each device connects to two devices in a ring topology. Hence, this is another difference between star and ring topology. Also, one other difference between star and ring topology is the direction of data flow. In a star topology, data from all devices passes through the central node. In a ring topology, data travels from one device to another in a sequential manner until reaching the destination. The data flow direction can be clockwise or antilock wise. Moreover, star topology is easier to troubleshoot while ring topology is difficult to troubleshoot. Cost is another difference between star and ring topology. The cost for star topology is higher compared to ring topology. There are various network topologies, and two of them are star and ring. The main difference between star and ring topology is that a star topology connects all the devices to a one central device forming a structure similar to a star while ring topology connects every device to another two devices forming a structure similar to a ring. 1. “CCNA – Bus, Ring, Star & Mesh Topologies.” CertificationKits.com, Available here. 2. “What Is Star Topology? – Definition from Techopedia.” Techopedia.com, Available here. 3. “What Is Ring Topology? – Definition from Techopedia.” Techopedia.com, Available here.